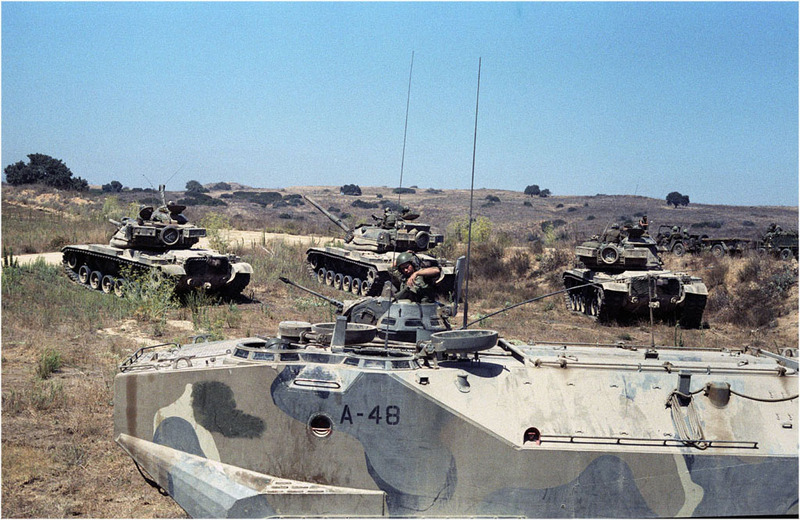 Defensive positions during some exercise at Camp Pendleton. At this time I was part of the crew on the LVTP-7. This was preferable to the M151 (Jeep) that I drove for the CO. However, I hated ramp days where we just scrub and wash and wire brush nuts and bolts for hours on end, day after day. When we were in the field it was great.